Mrinal is a specialist in seismic wave propagation, including anisotropy, inversion, and uncertainty quantification. He has extended seismic plane wave analysis methods to anisotropic media and developed novel methods for characterizing unconventional reservoirs. 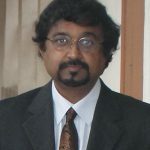 Mrinal has carried out rigorous error analysis of finite element and finite difference methods and developed several efficient finite difference operators for modeling and imaging.